Abalone and Mother of Pearl bracelet, necklace and close-up of necklace. Sterling Silver Abalone and Mother of Pearl Necklace. 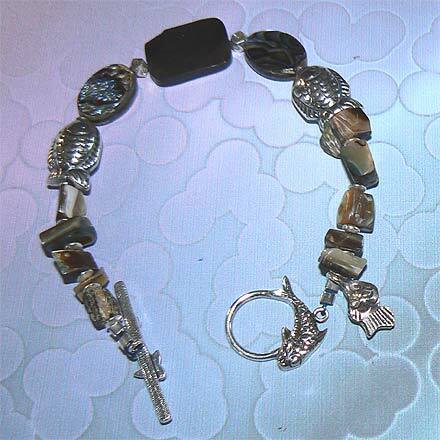 Sterling Silver Abalone and Mother of Pearl Bracelet. 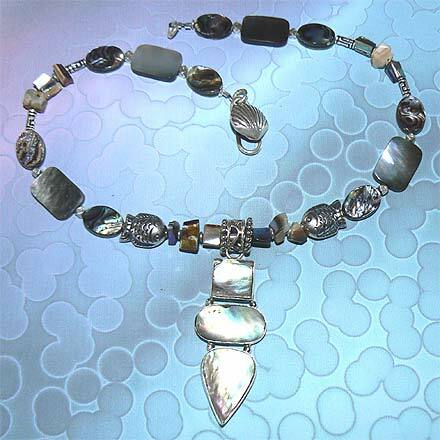 Glimmering iridescence with Fish beads and bracelet toggle clasp, and Silver Scallop Shell necklace s-clasp. All kinds of pretties from the sea.